From Franklite Lighting, a quality chrome finish heavy crystal bathroom downlight. 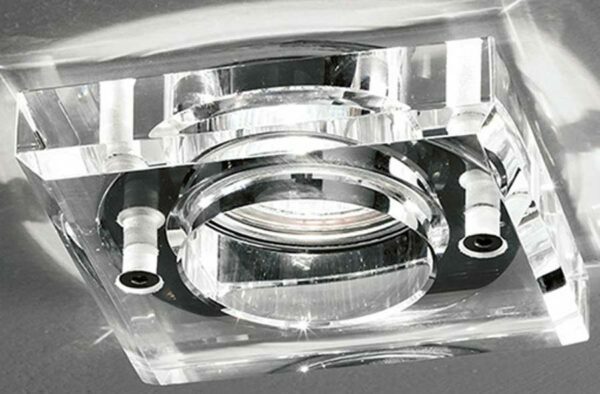 Square IP65 recessed ceiling light, with the sheer luxury of crystal. Suitable for bathroom zone 1, including above a bath or shower cubicle. Supplied with transformer and lamp. Height with strap 105mm. Cut out 75mm.